Ari Shaffir (@AriShaffir) is a comedian, writer, podcaster, and actor. He is the current host of the podcast Skeptic Tank. 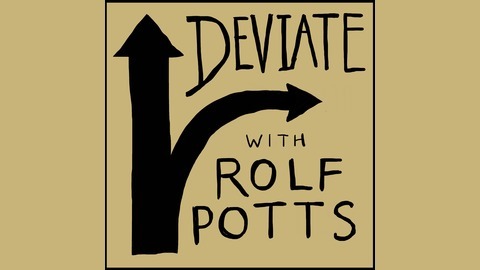 In the Season 1 Finale of Deviate, Rolf and Ari resume their conversation about magic mushrooms (7:00); discuss Ari’s strange bets and the experience of panhandling for money (17:00); reflect on lessons learned from the past year of podcasting (32:00); discuss the shortcomings of travel television (55:00); and explore self-mythology and society’s over-simplification of complex topics (1:07:00). This episode of Deviate is brought to you by AirTreks, an industry leader in multi-stop international travel. If you’ve ever planned a trip with multiple stops, you know that finding the right flights can be difficult. Airtreks can help with your international flight planning, specializing in complex routes with up to 25 stops. The Airtreks website offers suggested pre-planned travel itineraries to help you get started, and can customize to fit your journey. Visit https://www.airtreks.com/deviate/ and get a signed copy of Vagabonding when you book your first trip with Airtreks. The Deviate theme music comes from the title track of Cedar Van Tassel’s 2017 album Lumber. 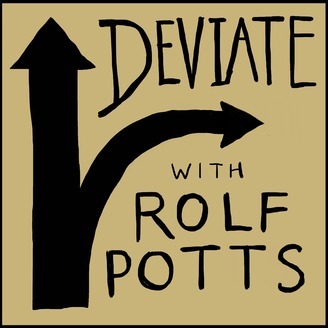 Note: We don’t host a “comments” section, but we’re happy to hear your questions and insights via email, at deviate@rolfpotts.com.